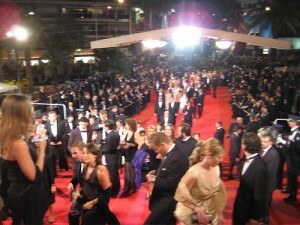 For a filmmaker, with an independent film, the purpose of a Film Festival, other than social validation, is to demonstrate to distributors (assuming their Acquisition Executives are in attendance) that your film is (A) Marketable, (B) Sells Out screenings, (C) Makes Money, (D) most important, has “Buzz”…. so you may get some cash (E) to pay back your investors and (F) launch your career. (A) MARKETABLE: You’re accepted to Sundance, Toronto or Cannes. This is marketable. 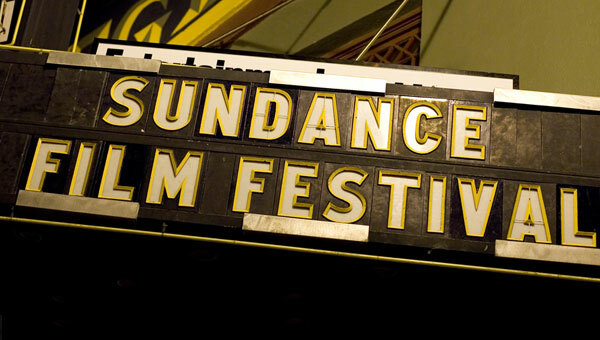 Guarantee your distributor will promote your film as an “Official Sundance Entrant” (always wondered what an Unofficial Sundance Entrant might be). Plus, once you are accepted to a major film festival you utilize their platform and plan a social media campaign targeting your screening to get an audience to purchase tickets… “Distributors (Acquisition Executives) will see this campaign” and see that “it works”. (B) SELLS OUT: If you can get 7-10 acquisition executives into your screening and they (1) see each other and (2) see that the theater Sold Out… this is a big positive. Acquisition Executives all know each other and they now see that your film is marketable and that they, only being human and seeing other Acquisition Execs in attendance, assume there is interest from the other buyers (acquisition execs) and, once again it “Sold Out”. 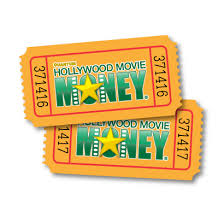 (C) MAKES MONEY: This is a simple repeat of Marketable & Sells Out… The Acquisition Execs, in attendance, now know that your film “makes money” and their job is to acquire films not that they-like but to acquire films that make-money… And your film has just demonstrated it makes-money. (D) BUZZ: This is by far the most important point. Why? Distributors know that with an expensive marketing campaign they can get people to come to a theater, buy a ticket, and watch your movie. However, what they cannot control is “what people will say when they leave the theater”. And, when your movie is over, and the Rear Title Crawl credits scroll, if the audience politely applauds and leaves then they (acquisition execs) know that your film is truly not going to be “long-term” marketable. However, when the Rear Title Crawl credits scroll, the audience STANDS UP & SHOUTS APPROVAL yelling “BRAVO, BRAVO, BRAVO…” then you have a hit and there is going to be “Buzz”. (E) PAY BACK: Independent Filmmaking means you get-your-own-money and it will not be from the film industry… which you are independent of… Thus, it comes from friends, relatives or literally “Quido & Carmen” and now “Quido & Carmen” want-their-money-back. (F) LAUNCH YOUR CAREER: If you can make a feature film that gets into Sundance, Toronto or Telluride and secures a distribution deal you will be making many more movies (higher budgets, better salaries, profit potentials, etc) and your career is likely launched. BACK-TO-BUZZ: If your film screens and the Acquisition Execs are in attendance as the audience stands up and yells “Bravo”… then these Acquisition Execs now assume that these viewers are going to tell/blog/post/share/instagram/periscope/tweet other viewers, who will tell/blog/post/share other viewers, who will tell/blog/post/share other viewers, etc… to “See This Movie”. This is called “WORD OF MOUTH” and you cannot buy this type of positive publicity for millions of dollars. 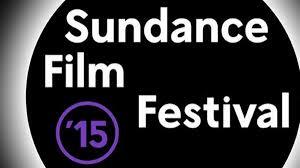 Your film is coming with a “BUZZ” (for whatever reason) then your film is going to get a great offer. You have made a “Million Dollar” Feature Film for $400,000-$500,000 in cash (assumes you’ve taken the “Streaming or DVD Film Schools) and are marketing it as a “just-under” “Million Dollar” feature. It was a 5-week shoot, signing with only SAG above-the-line on a Low-Budget Waver Agreement, with 2 names (quality tv actors) in it that were paid $50K each. It is a quality script. A contemporary psychological drama (a 2015 version of “Play Misty For Me”) shot in scenic Carmel, California, with two superb subplots, a triple-twist ending that left the audience standing & applauding loudly as the rear title crawl credits scrolled. Shot with 2 Red 4K cameras, lit well, audio track flawless, excellent ADR & Foley, with an original music score that is owned 100% by you. FIRST: There are 32 Deal Memo Points (Theatrical Buy, Print Amount, Advertising Budget, Distribution Fee, Profits, Net Profits, Adjusted Box Office Gross, Over-The-Top, On-Demand, Pay-per-View, Pay-Cable, DVD (Sell-Through), DVD (Rental), Blu-Ray, TV, Merchadising, Branding, Licensing, Music, Books, Publishing, Foreign, China-Italy-Germany-England….) to negotiate. SECOND: Negotiate every single one of them. Now, lets get to the 6 Offers. The distributor (aka: Acquisition Executive) chats budget, tells you how amazing your film is and states “Lets be partners. Lets go “50-50”. The distributor then gives you no money upfront, but states a $2 Million marketing campaign and you will get 50% of Net Producer Profits. The distributor offers you $2,000,000 for world-rights for ever. It’s a Buyout Deal. The Distributor is buying; you are selling; take the money; walk away and the distributor owns everything…. forever. The distributor offers no money upfront but will distribute your film in North America (USA/Canada) with 300 prints in 300 theaters, covering the top 25 markets, for a minimum of 3 weeks, with a Distribution Fee of 35% and recoups all expenses, with a Rolling Break-Even Point, and no Binding Arbitration… but you keep all Foreign Rights and, 60-days after the North American release you can go to Cannes, AFM or EFM and license your film to 35 nations or territories and keep 100% of the revenues. The distributor offers you $400,000 upfront (to pay off your investors. Quido & Carmen are happy) and markets the film with a $3 Million campaign but keeps all Theatrical Revenues and Foreign Rights but you keep the ancillary revenue streams (On-Demand, Pay-Per-View, Pay-Cable, DVD (Rental & Sell-Through), TV, Licensing, Merchandising, etc.). However, they have Remake Rights. DEAL #2 is the best: Why? I like Deal #2. For I am always big on take-the-money and-run. 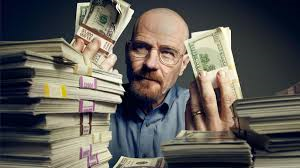 Knowing that once they (distributors/networks/aggregators) give you some money upfront for your product they are definitely going to need you for 1-4 weeks for marketing… And it will be this marketing campaign that makes you into a “Hollywood Commodity”… and I’m sure you have heard of “Creative Bookkeeping”. I vote for, although all the deals have merits, Deal #2… (A) Take the Money, (B) pay off your investors, (C) be made into a Name and (D) secure an Agent and capitalize on your Name’s value for Movie #2 and Movie #3 at bigger and bigger budgets. Start at the bottom, but not with a short, with a feature film. Now Make-A-Film; Get it Into a Major Festival; Get the Acquisition Execs to attend: and if the audience comes, the screening sells out and the Audience shouts approval… Voilla. Of course it is not that quick or easy and there is much more practical information to obtain to be a Producer, Writer or Director, even Actor, in today’s global film world and I look forward to giving you that information with any of my 3 affordable (view to your left) “2-DAY”, “DVD” or “STREAMING” Film School programs. Thanks Ann! Glad you’re enjoying the blog.